Furry pets are adorable and explorative creatures. They love looking around and finding new things, digging up treasures and giving “gifts” when they find something really cool in your backyard. This all can be really fun for them, but it can also leave your lawn looking a little dingy, not to mention the added hassle of potentially finding fleas and ticks all over your furry animal, which will lead into your house. What can you do to make your lawn a little more friendly for your furry creatures against those pesky pests? Fleas and ticks love popping up around April in Michigan, when the weather is starting to become warmer. They thrive on temperatures between 70 to 85 degrees, though they can still survive in temperatures outside of that range. They are actively out looking for good, warm hosts to feed upon, and can be hiding anywhere: Under the bushes outside of your home, in the woods while you’re camping, or even in the crevices of your sidewalks. While your furry pets are exploring, they may accidentally come across a patch of these pests hiding, and find that they are the next big meal for the tiny vampires. What can you do to stop these pesky creatures from infesting your pets–and your home? One thing to remember is that fleas and ticks can be found anywhere. They can come from the dog park, latch onto your friend who is visiting and doesn’t realize they have them, or from visiting furry pets. It’s important to keep your pet protected in these circumstances so you don’t have to deal with a huge infestation in the future. That’s why it’s important to arm your pet. Thankfully there are many great ways to arm your pet without potentially harming them. GreenPaws Flea and Tick Products Directory is a great resource for anyone who is looking to protect their pets without the use of harsh chemicals. They have done their research in finding what chemicals are in various popular products and the risk behind using them, and rates them based off of the potential danger of using said products. If you’re looking for a better way to arm your pet without harming them–and your family–with harsh chemicals, this would be the website to check out. If you want to use more natural remedies with no chemicals at all, you can always rub citrus juice on your pet (we’re not kidding! ), or let them have a dip in the bath with some Dawn soap. Learn more about those type of remedies here. This recipe is a dynamic way to kill these pesky vampires by dehydrating them and going deep within the carpets so that you can kill them – eggs and all. Lift up bedding, move furniture, and focus on vacuuming! Aim for the deep, shaggy carpets or darker crevices of your home. If you consistently do this, then you’ll eventually have the eggs and adults sucked up and out of your life! You want to do this in HOT water, because fleas die in extreme heat. Make sure to put it through the dryer at high heat as well, as ticks have been known to live after a wash.
As we have mentioned, fleas and ticks can hide anywhere in your backyard as well. Now that you have your pet and home protected, you want to keep your yard and lawn protected as well for a dynamic trio. We at HTA Companies Inc. will come in three times a year to spot-treat your yard to protect against fleas and ticks, keeping your yard clean, and lessening the chance of an infestation in the future. Find out more about those services here, and call us today to for more information. We’d love to help! Don’t let your furry creatures become a flea’s or tick’s next meal. Take these tips to heart, and call us today for a flea and tick free landscape. You won’t be disappointed! 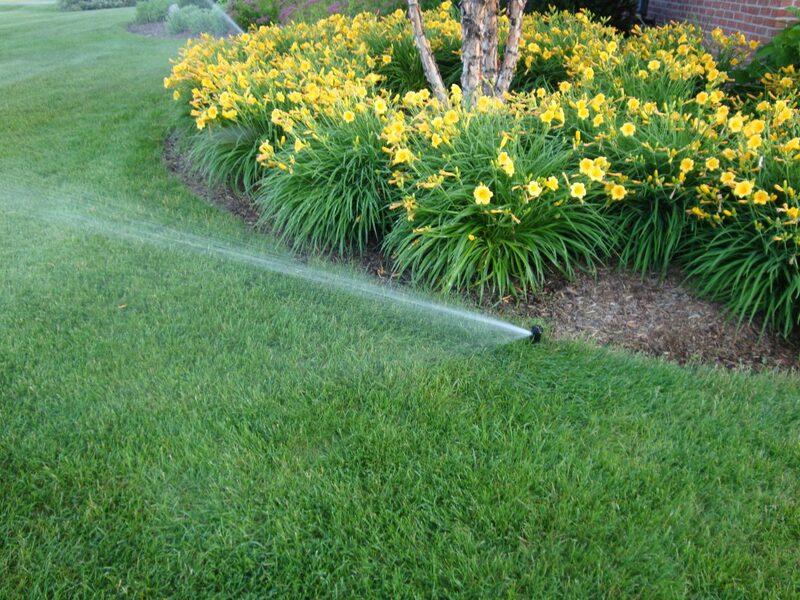 Part of maintaining a beautiful lawn is ensuring that the irrigation you have is adequate and smart. When your irrigation for your lawn is installed, you want to make sure the design works well to get the most out of your system while reducing your water usage. With drought conditions coming and going, it’s important that you’re wise in how your irrigation system is used. With the new advancements in technology, you can now put that power to your irrigation system as well. You can now control your irrigation system from your phone just as you do your lighting, HVAC systems, or even your television. When you’re considering an installation such as this, you want to work with an experienced team. That is exactly what you get with the highly trained staff at HTA. HTA will send out a technician to go over your irrigation needs and help you design a smart system. If you have a system installed already, you can discuss the changes needed to make sure you save time and money in the process. A new smarter system can help you to maintain a beautiful lawn, stay in line with watering restrictions and get the right amount of irrigation your vegetation needs. When the Red Trucks leave your home, you’ll never know they were there except for your amazing irrigation system that is now installed. They can also service the system for you, so you know it’s running efficiently at all times. Contact the professional team at HTA today to see how you can start using “smart” irrigation today! As spring turns to summer, you want to know that your lawn is looking its best day after day. Let’s face it. The “curb appeal” of your home starts with your lawn maintenance. If you work a full-time job or even are a stay at home parent, the lawn maintenance can go to the wayside with everything else you have going on. Sure, you might get your grass cut but do you really have time to do what is truly needed to keep your lawn looking pristine? That’s where the team at HTA Companies comes in. Our staff members work diligently to make sure your home is looking in tip-top shape from the curb on. We offer a variety of lawn maintenance services so that you do not have to worry about the curb appeal. We can take care of all the trimming and mowing, maintaining your hedges, cleaning up the yard after spring, and so much more. We work only with a team of mowers that we have hired personally. We do not subcontract out so that means we know exactly who is at your home at all times. They also keep us updated on any needs you may have to make sure your yard is the best in the neighborhood. We also offer a variety of other services including irrigation and fertilization treatments to make sure your lawn is in great shape. Contact our office today to set up your lawn maintenance schedule and get your yard in control! Do you drive up to your home or walk outside of your door and wish there was more to look at? Perhaps you want to have a beautiful landscape design but you’re not really the creative type. Don’t worry anymore! The team here at HTA Companies has a great service to help you design and construct the perfect landscape. It will have your neighbors, friends, and family in awe of the beautiful site that is your outdoor lawn. 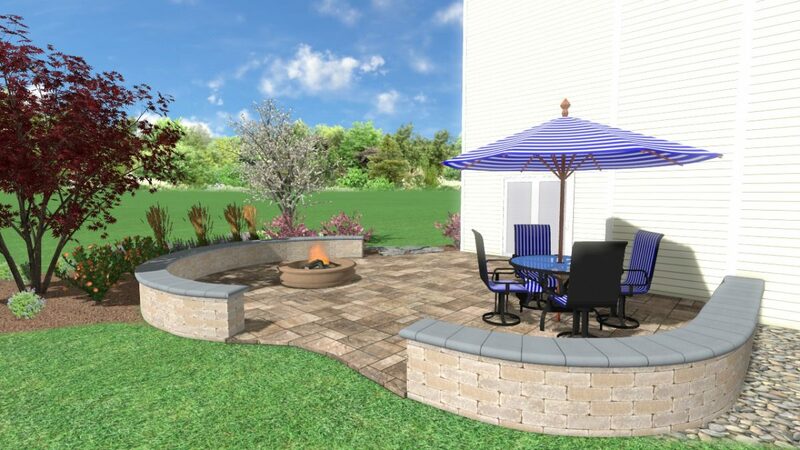 Working with HTA gives you access to 3D technology to see just what they have planned for your yard design. While most companies have a blueprint drawing, our team can construct a 3D image of your home with the new layout. This allows you to get a true feel for what the design will look like and how it will fit into your home. Our experienced team offers a variety of landscape construction services. We work on renovating your existing setup, create a totally new design, and install irrigation systems to help you save time and money. Our team can also help you create the perfect space for your new backyard pool or create an oasis in your backyard for relaxation. Contact our team today to see just how you can design and construct the perfect landscape that welcomes you home every day. Whether you have a current design that needs to be overhauled or want to start from scratch, our highly ranked team can assist you with all your lawn and landscape design needs. 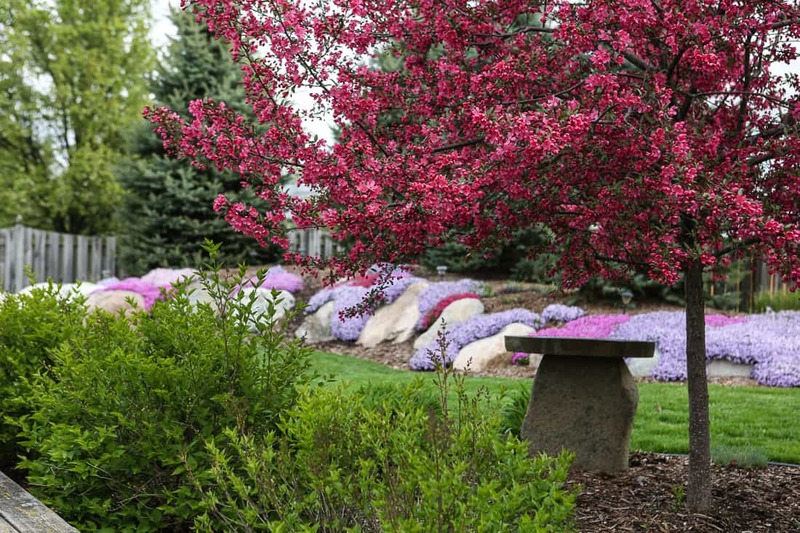 As spring is subsiding and gives way to summer soon, you want to know that your trees and shrubs are in the best shape possible. 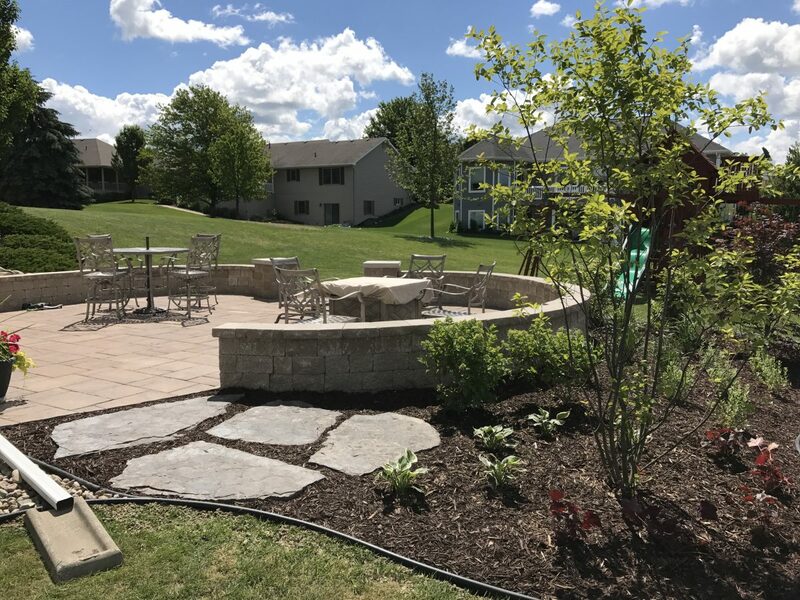 That is why here at HTA Companies we have a team of certified Arborists, Horticulturist and landscape experts to help you maintain the pristine look of your lawn, trees, and shrubs. Our team has been in business for years assisting residents just like you to ensure their trees and shrubs are taken care of. One of the critical aspects of care for your shrubs and trees is to make sure that insects and pests do not destroy them. Our company employs the best-integrated pest management systems that are the industry standard. Spring and summer can bring in new pests and you want to make sure your yard is protected. Our team of landscape artists will come out and evaluate your property to make sure what is needed to keep the trees and shrubs healthy. We offer a variety of services such as pest management, disease control, pruning, trunk injections and more. Our experts know the area and they know what insects and pests to look for. We also can provide you with deep-root fertilization processes that help to give you healthy plants from the ground up. If you’re concerned about your trees and shrubs or they just need maintenance, contact our office today. We can set up a consultation to inspect your home’s landscape and tell you what the best course of action would be. Don’t worry as we never try to sell you things you do not need. Contact us today to see how to get started on getting healthy trees and shrubs. Maintaining a beautiful and pristine lawn is a full-time job in itself. Cutting your grass on time, keeping the shrubs and bushes pruned, getting rid of pests, and the list keeps going on. Most people do not have time to invest in the type of lawn and yard they really want to have. That is why it is a great idea to work with a company like ours here at HTA Companies. We provide a variety of lawn care services that can help you maintain a beautiful yard that you’re proud to come home to. Our team of professional landscape artists has a vast experience in all aspects of lawn care. We work with a team of trained professionals such as our mowing team, Horticulturist, and Certified Arborists. We work hard to make sure that our lawns and customers can speak for themselves. Our team has worked diligently to earn the respect and trust of our Lansing clients and we want you to feel like a part of the family. Whether you need someone to maintain the yard for you or you want a newly designed landscape, our team has got you covered. We work with every aspect of lawn care service from creating a beautifully landscaped area around your pool to ward off ticks and fleas in the summer. Contact our office staff today to see how we can help you have the best-looking lawn on the block! As a highly ranked lawn maintenance team, here at HTA Companies, we understand the need for a beautiful lawn while being environmentally safe. That is why we use products to help you get the best-looking lawn in town without being harsh to the environment we love. We have lawn specialist that will come out to your property and do an inspection and consultation to see how we can assist you in reviving your lawn to perfection. 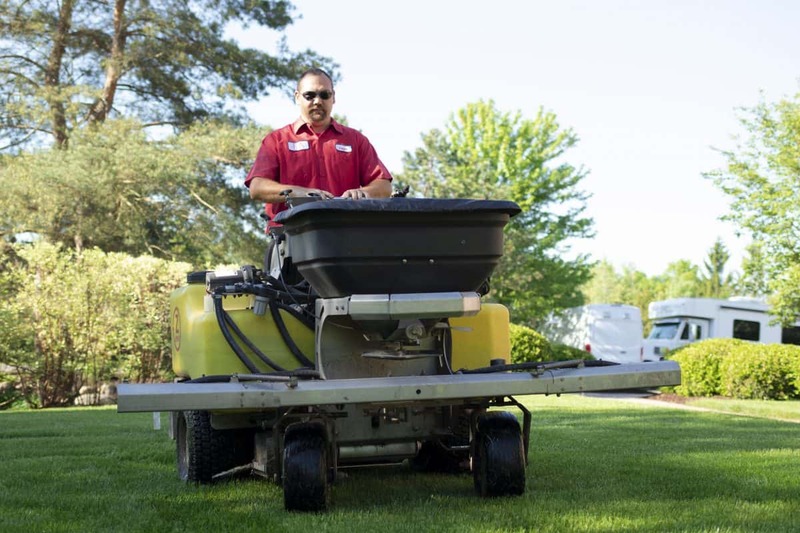 Each of our landscape team members has been trained in the industry safety standards and practices to ensure that each step of your fertilization and weed control process is handled safely and correctly. To make sure your lawn looks great, we offer a variety of services. 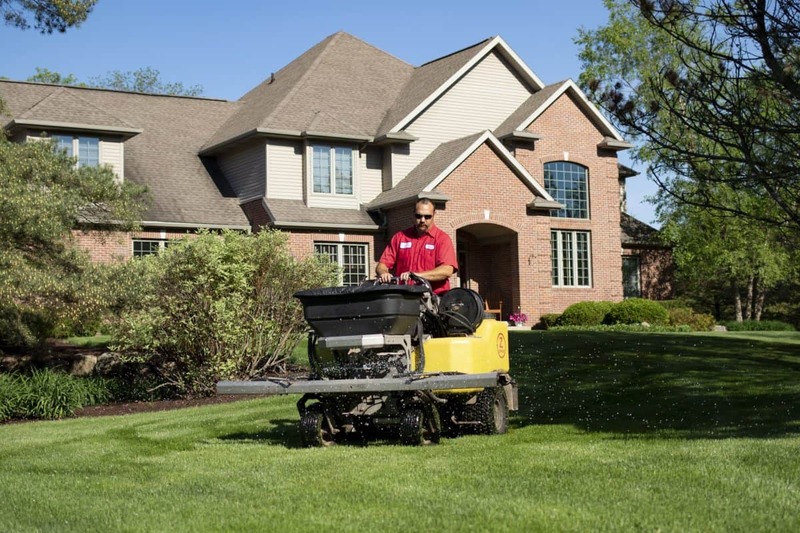 Our professional landscape team can aerate your current lawn to help your lawn grow. We do this in the spring and fall seasons. 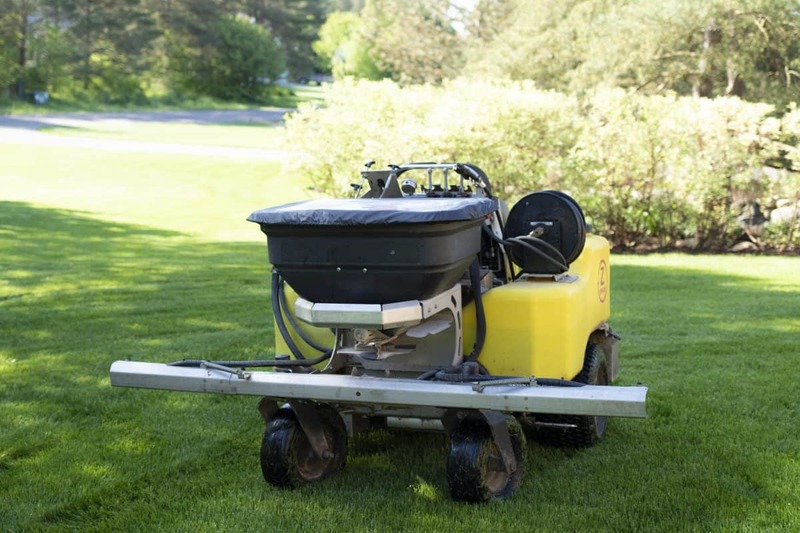 Our team also can provide fertilization services using a slow release product that will not negatively impact the areas around it due to runoff. We can also provide services that assist with your tick and flea control issues as summer tends to bring out these nasty pests. We want to help protect you, your family, and your four-legged friends. Moles can wreak havoc on your yards as well. They dig up the grass and can kill a lawn in a short time. We provide services to make sure that your lawn survives mole season. Whether you need disease and pest control, or you are looking to spruce up your lawn, our team has you covered. Contact our friendly staff today to see how you can start the process of gaining control of your lawn. How did you hear about them or where have you seen them? Ads may not tell the whole picture. Ask around to see who people you know have used. If a company is referred by a friend, family, or neighbor; you should probably stop searching. People don’t often refer a company that has disappointed them. If their schedule and expertise match your needs, we recommend acting on the referral. Whose trucks do you see all over town? There might be a reason for that as well. Every business had a beginning! A new company may be a perfect fit if your project is small and undemanding. A complicated project commands experience! Don’t be a Guinea Pig, because it costs serious money to correct the mistakes of the inexperienced! Once again you need to look at experience. Do they have training in design? Years of mowing doesn’t automatically make them an experienced landscape contractor. Have they done something similar? Don’t be afraid to ask to see an example. With today’s technology, they probably have pictures of landscapes they’ve designed and installed, right there on their tablet or phone. They’ll be thrilled you asked to see their work! Do they charge for their design? Most accomplished Landscape Companies will charge for their design. You are paying for the talent & experience, to pull your wish list together in a creative way and make it a reality. Their unique knowledge and selection of the right materials will be invaluable, if you want your landscape to stand the test of time. Many landscapers will credit back the cost of the design if you have them do the work. Even if they don’t; it’s money well spent! Do they subcontract any of the work? This is actually a very important question to ask. Companies that can do everything with their own experienced crews, will be able to offer a seamless flow of work from start to finish, without delays or excuses from subcontractors. What is their schedule & can they complete the job on time? If your project is time-critical, you should make this point right up front when you’re calling for an appointment. Companies will probably be able to tell you then, if they can take on this work. Larger companies may have more crews at their disposal and can have multiple projects under construction at the same time. The smaller a company is, the longer you may have to wait, because they must finish the job or jobs just ahead of you. This isn’t necessarily bad though. If you’ve asked all these questions and feel comfortable so far, it could be worth the wait, if you’re not up against any deadlines. Can they stay on the job until finished? This isn’t a dumb question! Their scheduling problems are not yours. If they start your job, they shouldn’t have to pull off to do something else, with the promise of coming back another day. This often turns into more than a few days. This isn’t a bad question to ask, but please try and keep things in perspective. Try and think how you would respond if someone called you as the reference. Please keep the scope and dollar amount of your project, in balance with the reference you’re asking for. You probably wouldn’t want to be bothered with 50 phone calls for $2,000 projects, when you spent $30,000 on yours. Don’t wear out a company’s hard-earned references. If you’re not comfortable by this point, a reference probably isn’t going to change that. Referred contractors make this step unnecessary. There is no magic number! A good Rule of Thumb is no more than 3. If your project requires a design or Master Plan, and you don’t have anyone referred to you, we recommend talking to 2 or 3 companies, using the above guidelines to evaluate the best fit for your project. Select that company and don’t put yourself in a position of having to compare 3 different designs. Every contractor will have a different vision and approach to your project and the more options you have, the more difficult it is to choose the best, because you may not be familiar with the plants and materials they’ve selected. The designs become rather subjective at this point and it’s often too easy to just make a decision based on price. The best solution may have just slipped through your fingers. If you’re impressed with the first company, there is nothing wrong with hiring them, but please let the other 2 know right away. When you take bids, one or two will promptly get things put together and come back to you in a timely manner. There always seems to be the one that can’t get back to you within the time requested, and too often people put the responsive bidders on hold while they are waiting on the slowpoke. Do not put up with this! Chances are if they can’t get you a bid on time, they won’t complete the work on time either! Just remember their time is valuable too, and they’ll respect you for your consideration. In summary, the referred contractor is most always the better path to take. Ask people you know, and tell them what you’re doing. If they had a great experience, they’ll be glad to share it with you. When you see one of the “Red Trucks” with our name… it’s the call worth making!